So you think your pampered pet has had every possible special treat available. Well that might be true but just in case, our little cat Mo made a few suggestions of her favourite things which make her feel extra special and thinks your pet desrves to be a happy cat too. She's very generous like that you know. 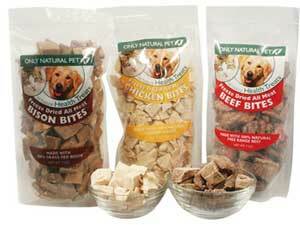 Cat Treats - These treats are so different to anything I have ever seen before. They are all meat and are completely natural. The meat is not cooked, heated or steamed before it is freeze dried and this is what the natural cat loves to eat. These are very special treats. Drinking Fountain - Mo doesn't like and just won't drink water which hasn't just been poured for her. Which is a bit of a problem when we leave her to go to work. 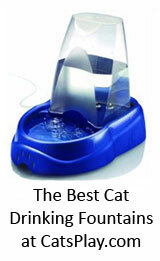 The answer is a special cat drinking fountain which provides cool and fresh water all day. 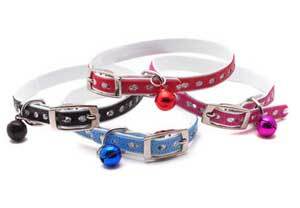 Shiny Silver Points Cat Collar with Bell - What would be nicer for your cat to a special collar with some bling. But you don't want anything too expensive as your cats may lose it. these collars are perfect. They are shiny and gorgeous but inexpensive. Take a look and treat your kitty. Luxury Cat Bed - We design our own bedrooms to make ourselves feel special, so why can't our cats have their own designer beds too? This groovy hug bed allows you to completely design the look, size and pillows to suit your taste. 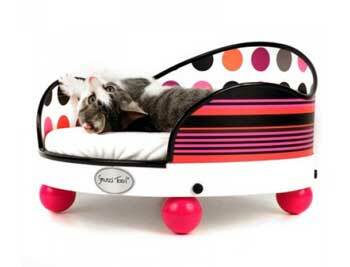 Your cat will have a completely unique cat bed. ut what about the cold winter days or for those indoor cats. 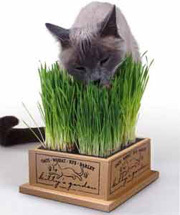 We thought this indoor garden especially for your cat to enjoy all year round was perfect. Fun Run - Your indoor pampered pet cat needs treat too. You may have a cat that doesn't go out very often or you may be worried about them going outside. 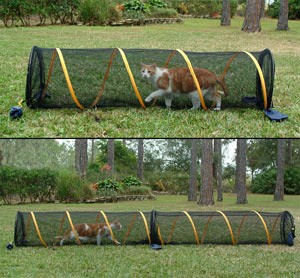 These mesh tunnels provide a secure area for your cat to roam around in outside while being kept safe. Also good if you go on holiday where your cat may be in unfamiliar territory.